It’s no secret that being well-organized is beneficial and that mapping out your goals helps you achieve them. One study in particular even explored the link between planning and lower levels of stress, which gives an even greater reason to be faithful with using a planner. Maybe your yearly resolution was to get more organized and efficient, or perhaps you have a lot of big projects to stay on top of this year. Whatever your reason for needing a planner, they are a powerful visual method for recording ideas, checking to-do lists, and jotting down quick notes. If you’re hoping to use a planner more this coming year, the product you choose and how it looks will matter. A design that appeals to you aesthetically will help you remember to use your planner, and each time you do so, you’ll be strengthening your new positive habit. Which qualities should your planner possess? Visually appealing, inside and out: Your planner should reflect your personality and keep you focused on your goals. 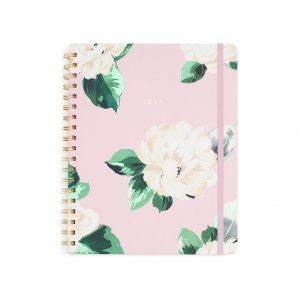 Whether you prefer a brightly colored design or something more elegant and neutral, a planner that makes you look forward to writing in it is a must. 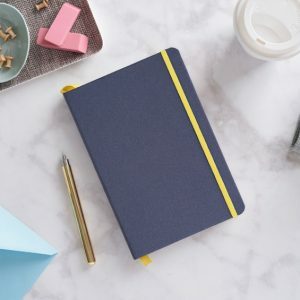 Plenty of space: Do you need a planner for keeping track of daily lists with detailed notes, or just weekly priorities? Whatever your objective is, make sure the planner you select offers you enough space to write down everything you need. Portable: Your planner won’t be of much use to you if you can’t fit it in your bag, so find one that you can take with you everywhere you go. 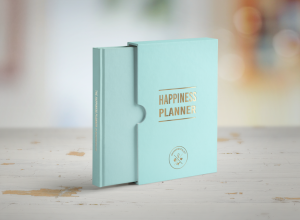 This planner has a simple, yet effective and highly elegant design. This product is unique in that it allows you to view your entire week on just a couple pages, with spare room for recording your daily notes and appointments. There’s even space for weekend notes, instead of only Monday through Friday like other products. You’ll also find the same amount of space given for day to day to-do lists. When considering this option, you will want to think about the size of your purse or bag, as well. The planner is 8.5 by 11 inches, which fits well into a messenger or laptop bag but might be too big for some purses. Depending on your schedule, the amount of room available for all of your personal lists, appointments, and goals in one single book may make the bigger version worth it. This agenda is useful for personal and professional planning. 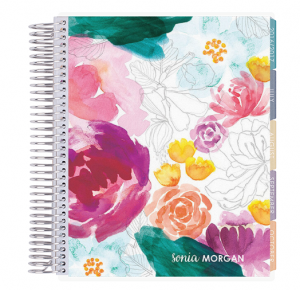 The stylized, all-encompassing planner allows you to personalize the included weekly sections for whatever you need. For instance, you can use the top column for to-do lists, the middle for appointments, and the last one for finances, or mix it up as you see fit. Choose between the three available weekly layouts: hourly, vertical, or horizontal, then pick between either a neutral or brightly colored interior theme. You will find plenty of extra note pages, both blank and lined, in this book. Although some use the digital planner on their phone, the monthly view in the Erin Condren 12 Month Planner allows you to see the details of your entire month on just one spread. This is impossible on a smart phone, which only lets you see this information by clicking each individual date. 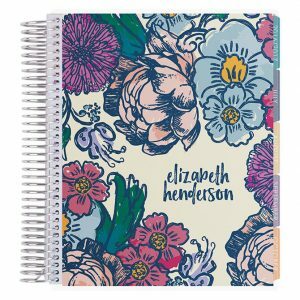 This planner is both functional and beautiful, with a charming and detailed floral image on the front. The book has the feel of a slim book with solid binding, a navy-colored cloth cover, and beautiful foil accents. It’s on the smaller side (5.25 by 7.75 inches), perfect for those seeking a compact design. Inside you will find weekly and monthly calendar sheets on natural white paper, inspiring quotes, illustrated endpapers, sections dedicated to celebrations, a pocket folder, contacts, and notes. 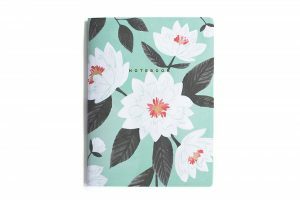 This planner is 8 by 10 inches, offering ample room for writing down your notes and appointments. The cute style of the book and the included stickers make writing in it a fun experience. Upon opening up this planner, you will find laminated tabs, inspirational quotes, and a colorful interior. The book comes with month view and year view, but doesn’t have enough room for daily entries, so keep that in mind. 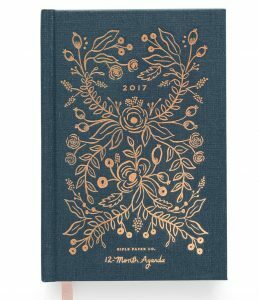 The hard cover is matte laminated, the planner is bound with golden-colored wire, and the book closes with an elastic band. This slim, lightweight option fits easily into your purse or school bag. When you purchase it, you get a set of three different notebooks, white and black gingham, mint floral, and black brush stroke. Each notebook is 6 by 8 inches in size and has 64 lined pages inside. Designate one for school, one for personal notes, and one for work. 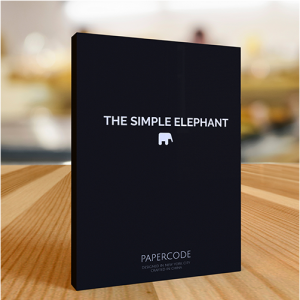 Perfect for those seeking a simpler and minimalistic option, the books have matte covers with golden foil details and rounded corners. 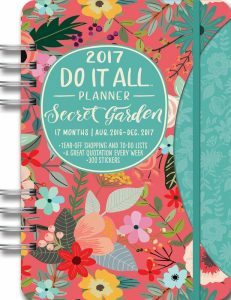 This colorful planner has hundreds of stickers for marking your appointments and perforated, tear-off list sheets for your to-dos and shopping. You will find a pocket for storing reminders and notes and nice quotes for starting off each week. Each spread allows you to see your week and is divided by section for organizing day, time, or task schedules. The book has a sturdy ring binding, allowing you to open it flat on a table. The ink is soy-based and the elastic closing band is color-coordinated. Compared to most similar products, the daily calendar writing spaces on this are larger and aren’t sorted by time. Sometimes, you have tasks that need to be done but aren’t time specific, such as setting up an appointment, and these spaces are perfect for such entries. The two pages of stickers included are great for setting reminders and making the experience of using the planner more colorful. 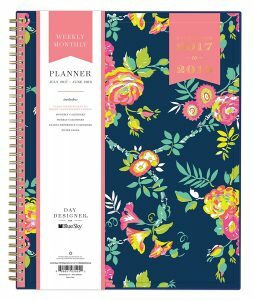 Keep in mind that the large sticker on the planner’s front cover does peel off easy and isn’t part of the permanent cover design. Having a great planner is only the first step to being efficient and effective. What other methods can you use to maximize your productivity and lower your stress levels? Have daily organization sessions: Each evening, take about five minutes to plan out what you will achieve the following day. This not only helps you stay on track the next day, but helps you clear your mind before bed, getting to sleep easier. Weekly planning: Instead of spending your entire weekend vegging out on the couch, you should use your Sundays to plan out the coming week. This will help you map out larger goals that aren’t day-specific, like sending thank you cards, or meeting a friend for lunch. This is also your chance to transfer notes from your phone to your planner. Make use of the month sections: Nearly every planner out there has a spread for monthly notes. 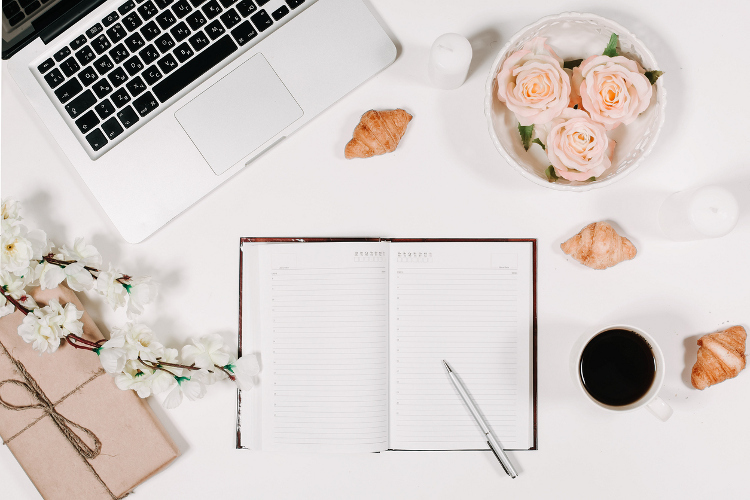 This is a good place to write down anything that is constant each month of the year, such as bill due dates, holidays, birthdays, or anniversaries to remember.